The scrappage scheme certainly took its toll on huge numbers of ageing cars – but there are still some vehicles that are rapidly vanishing from UK roads despite the scheme being over. We’ve crunched the data from our updated How Many Exist section to find out which cars are disappearing the fastest from UK roads. 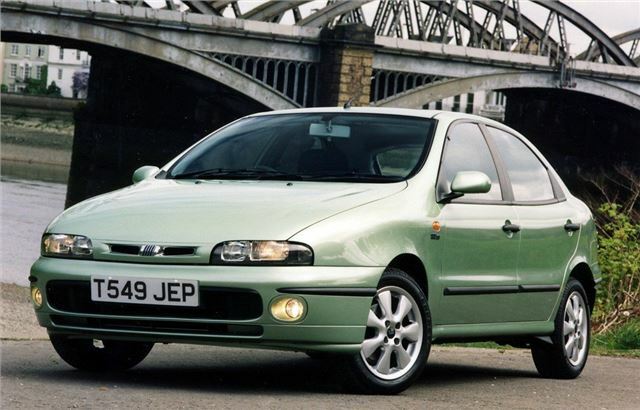 The fast-depreciating and not-very-good Fiat Brava ended up on forecourts for banger money extremely quickly. That’s one possible reason for the very quick rate of attrition – they’re not cost effective to keep on the road when something goes wrong. More than 70,000 were registered, but by December 2014 there were 7072 left. Come December 2014 there were 4522 left - in a year more than 2500 were scrapped. At that rate almost 99 per cent of those registered in 2013 will be gone in ten years’ time. The three-door variant of the Brava was the Bravo – a car that soldiered on until recently in one form or another. Unfortunately that muddies up the calculations for the Bravo – but we imagine Bravos and Bravas of the same age are dying out just as quickly. *The list is calculated by the percentage difference between the number of cars on the road in December 2013 and the number in December 2014. In order to keep things relevant we’ve filtered the results to show only vehicles of which 50 or more were registered in 2013. A quirk of this data is that we can’t really analyse the rate at which older generations of cars with long-lived name badges, like the Ford Fiesta, are declining, since the statistics will always show total numbers increasing. This is simply because the name badge is still being used for brand new cars, which don’t tend to be scrapped.